Apicoectomy is a surgical procedure performed when a second infection appears after a root canal treatment. This solution is usually taken into consideration if a root canal re-treatment would not be enough to completely remove the infection. This dental procedure involves a small surgical intervention. The dentist may perform an x-ray before performing the apicoectomy. Antibiotics and/or anti-inflammatory medicine may be needed after the procedure. While conventional root canal treatments focus on treating the infection from inside the pulp chamber, the apicoectomy procedure treats the infection from the root of the tooth. Patients who have already had an endodontic treatment can benefit more from an apicoectomy, especially if the removal of the existing filling to clean the pulp once again would jeopardize the integrity of the tooth. The dentist will decide to perform an apicoectomy or a traditional root canal re-treatment after an initial consultation visit. He will also talk to you about the possible risks and the follow-up treatment with antibiotics if needed. Apicoectomy is a preferable option because it provides a permanent solution. Apicoectomy is a small surgical procedure that involves removing the infection directly from the root of the tooth. The dentist will make a small incision into the gum, close to where the infection is located. This allows for direct access for the removal of the infection. 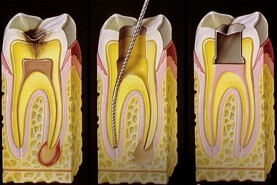 A filing is placed at the end of the root canal in order to seal it and prevent any subsequent infection. The final step of the apicoectomy is stitching the gum tissue. The risks associated with this procedure are very low and the patient is administered local anaesthesia during the surgery. 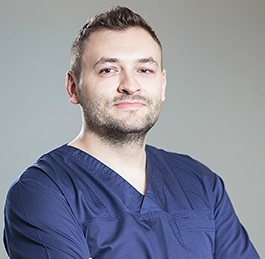 Our team of dentists in Bucharest specialize in endodontic treatments and re-treatments and can recommend the best treatment method, according to your case. 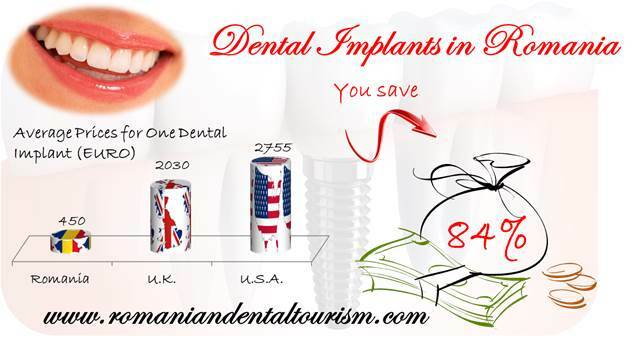 For more information about our treatments, you can contact our dental clinic in Bucharest.